The EastSeven Berlin Hostel welcomes you to Berlin and to the amazing museum night! On august the 29th more than 100 museums and cultural institutions in Berlin open their doors at night! From 6pm to 2am on almost 400 square kilometres – between Glienicke Palace, the Museum at the Waterplant Friedrichshagen and the Museum of Local History Reinickendorf – more than 100 museums and cultural institutions are giving access to their exhibitions, collections and art objects throughout the night, enriched by a variety of events. There will also be concerts, readings, theatricals and much more. Seven museums are reachable by foot within the radius of Kulturforum Potsdamer Platz. Behind the Piazzetta the Picture Gallery, Library of the Arts, Copper Engraving and the Museum of Decorative Arts are located. Passing the St. Mathew church, which functions as a concert hall during this Long Night, one reaches the New National Gallery and opposite the Latin-American Institute. Northerly, behind Kammermusiksaal and Philharmonic Orchestra, is hiding the Museum of Musical Instruments. Directly at Potsdamer Platz, the Museum of Film and Television is located which is only a short walk away. The museum is located next to the first bus stop of route 1 and 2 which also serve the Martin-Gropius-Bau. Bus shuttles make sure everyone can reach the participating museums and cultural institutions comfortably. You can either choose one out of 5 different routes with a fixed program or make your own route through this truly special event. • Children until the age of 12 have free entrance. 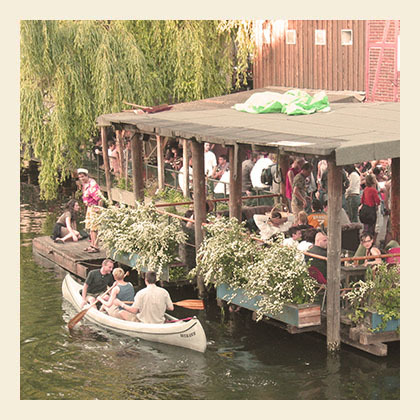 For more cool events in Berlin check our Event Blog or our Staff Recommendations! !